What did you used to do that made you happy? So it is midnight on Wednesday night and I can’t sleep. I know why I can’t sleep, it’s because I decided to watch my favourite hoop video before bed and now I can't stop thinking about all the things I want to perfect, new tricks, movements… my brain is full to the brim with ideas. It’s annoying I should be sleeping right now. Ever since I started hooping this has happened. I lie awake at night with ideas running through my mind. Imagining hoop routines, tricks, planning classes. I am so passionate about it sometimes I forget that there was a huge chunk of my life where I didn't have passion like this. Not that there was no passion at all but nothing on this scale. But I do remember being passionate like this before. As a teenager I always wanted to own a cafe, I had this idea in my head that it would be a combined thing a cafe/shop/florist. I also loved drawing, I can literally remember getting out of my bed in the middle of the night to go draw. And it did! 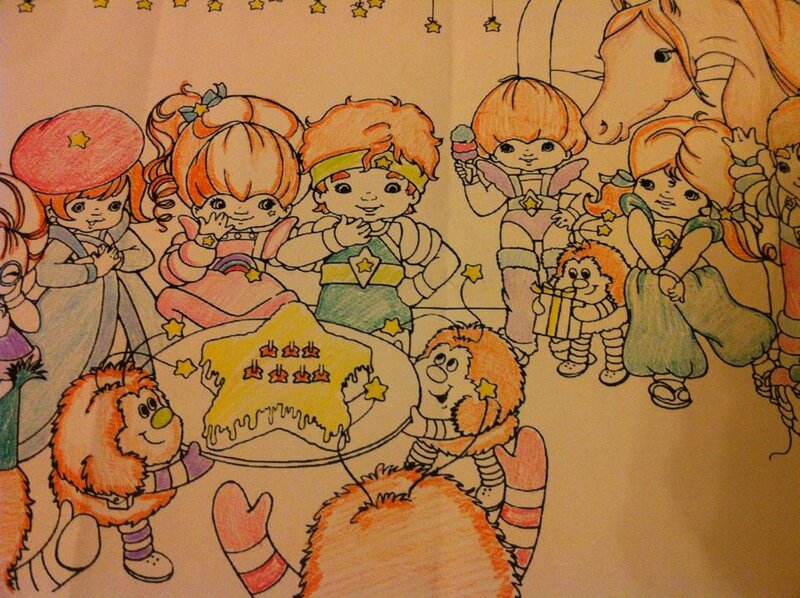 Colouring in below by Bree age 28. It was very therapeutic for me. Maybe we should revisit the things that make us happy every now and then?! The beauty of hula hooping is that it helps us revisit our child hood and play but what else made you happy? Intermediate Hula Hoop Class London from Bree Kirk-Burnnand on Vimeo. We came up with new really random tricks and as Nicole said 'it was everything I love about hooping' Playful, fun but also seriously challenging! Expect to see some of our random tricks in your next class.